How High The Moon - The Baroque Flapper Dress from Simply Be. 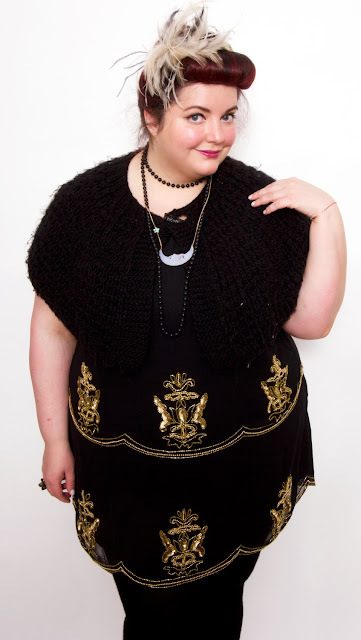 The amazing Baroque Flapper Dress from Simply Be. With a big art deco themed DJ gig coming up, I was absolutely flustered by what to wear. Traditional flapper dresses don't suit my hour glass shape, and I was struggling to find something which didn't resemble a potato sack, or even worse, cheap fancy dress. Lucky for me, the lovely people at Simply Be sent me the gorgeous Baroque Flapper Dress and have absolutely saved the day! The 1920s inspired flapper style is perfect for shimmying behind the decks, with the intricate beading creating points which pull in to give it some shape. It's fully lined and sparkles from all angles with the scalloped edges acting as a stunning design feature. Baroque Flapper Dress from Simply Be. 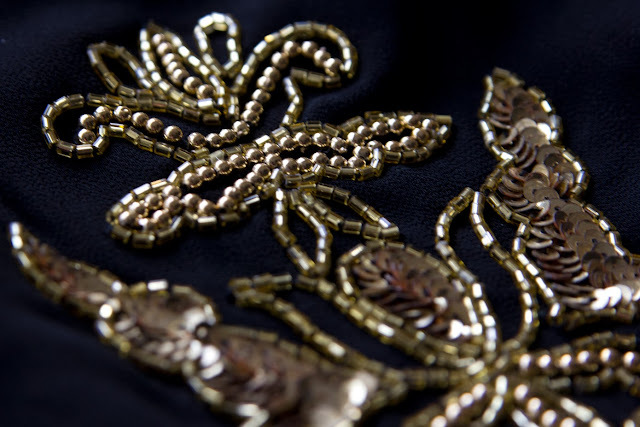 Detail of the sequins and beading on the Baroque Flapper Dress from Simply Be. Detail of the scalloped edges and beading on the Baroque Flapper Dress from Simply Be. Whilst I haven't quite decided how I'm going to style it (it'll be without the 1940s hair for a start! ), I am certain to end up wearing my lovely La Luna necklace and art deco inspired ring from Tatty Devine with it. 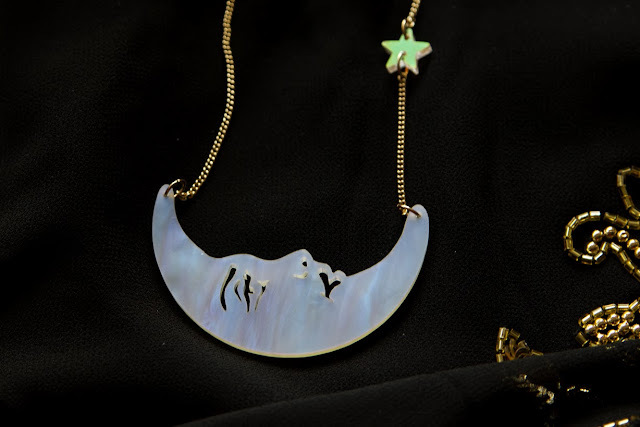 La Luna Moon Small Necklace in Opal (£40) from Tatty Devine. 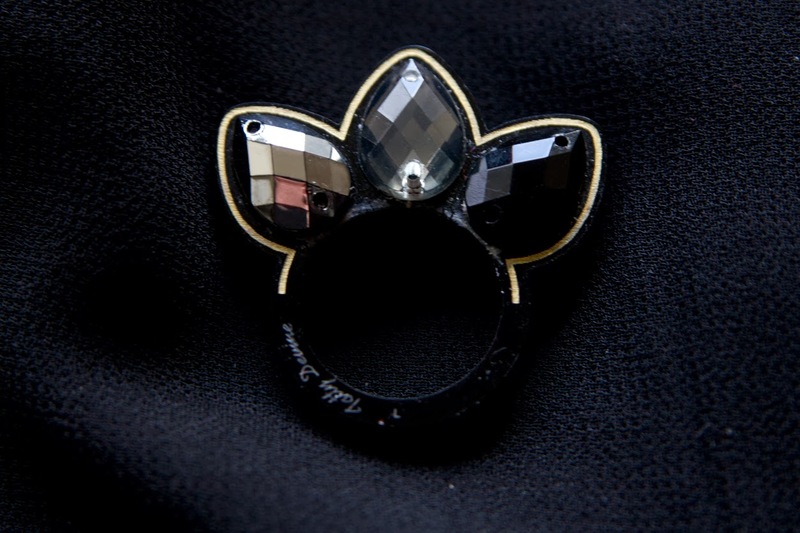 Tatty Devine art deco inspired ring (no longer available). I absolutely cannot wait to wear it next week, and will be sure to grab some photos of the final look pulled together with 20s hair and make-up. 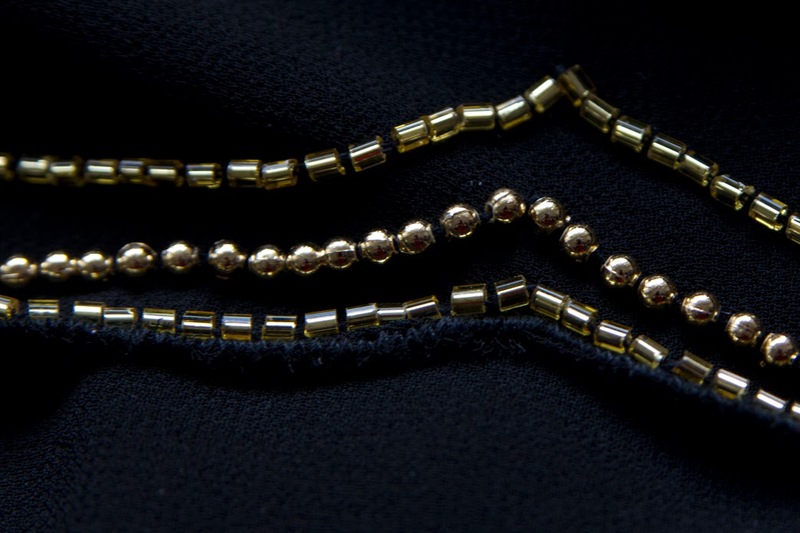 In the meantime, if you'd like to buy one for yourself to get you through the party season, you can find it on the Simply Be website here for £100 (stocked up to a UK size 26).